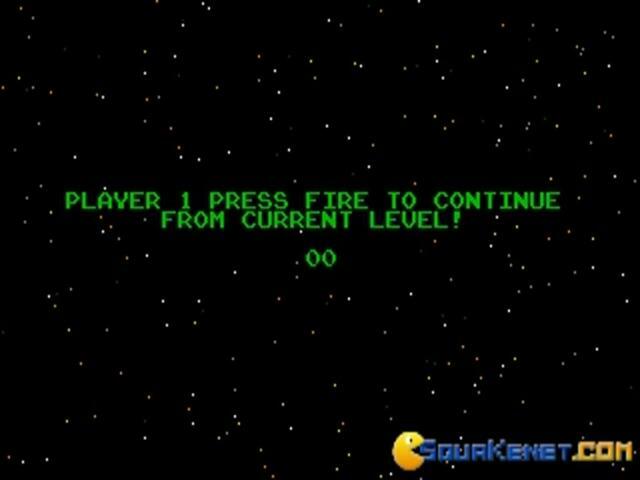 Best 2 player game ever. Hmmm... 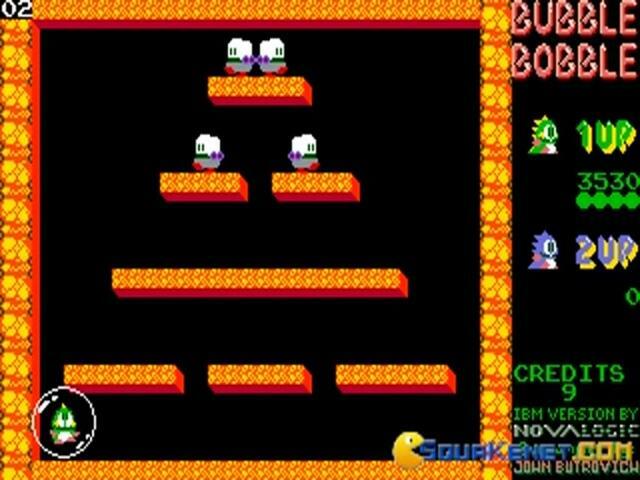 Bubble Bobble only the best game ever. 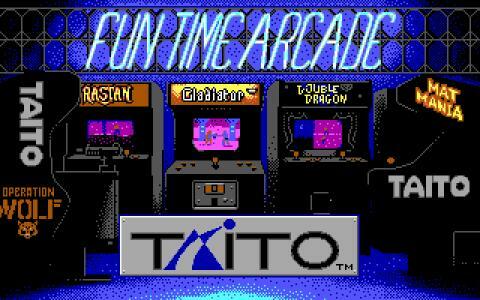 An arcade game, where you play as one or two (multiplayer!!) dragons that must defeat all the enemies in progressively harder levels. This is awesome co-operative 2 player action at it's best. 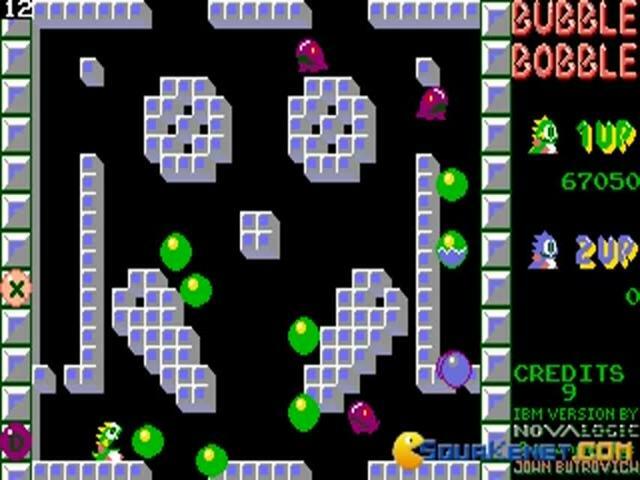 The game has a unique way to kill enemies, first you must blow a bubble on the enemy when they are within range, this then sends the enemy floating off into a bubble, which secondly have to pop by touching. Sounds easy, but you will be surely eventually struggling to be capturing your enemies in bubbles and to stop them from floating away at the same time, as the game get's harder. 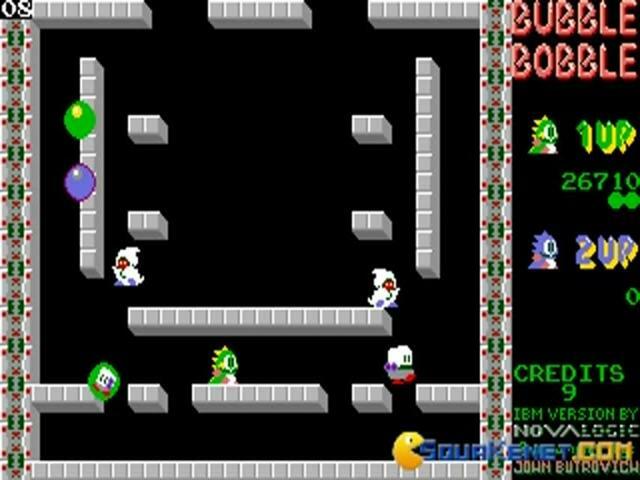 You find power ups throughout the game, which can give you temporary abilities such as speed and blowing longer bubble ranges. You can bounce on the bubbles you blow and ride them to higher platforms as the bubbles rise as if they are filled with helium, it is as if you are able to interact with your environment. 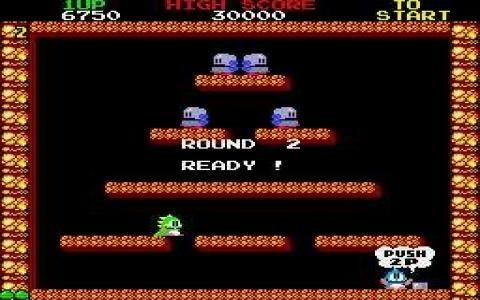 The game also had sequels such as Rainbow Islands, the game where you shoot rainbows out of your crotch rather than shoot bubbles. 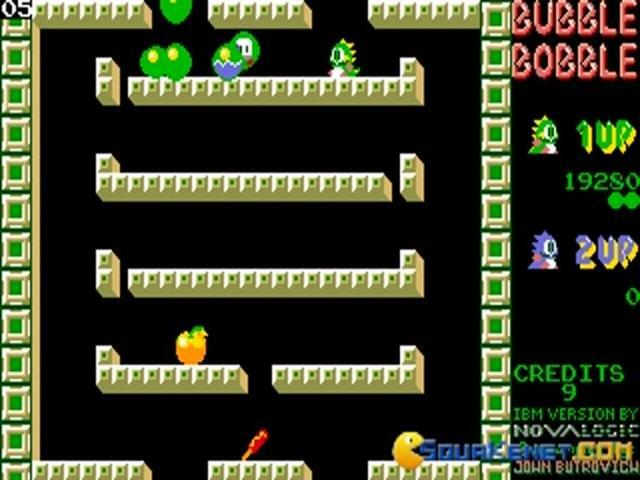 The game also led to a spawn of popular cult puzzle games in the Puzzle Bobble series that still continues to this day. 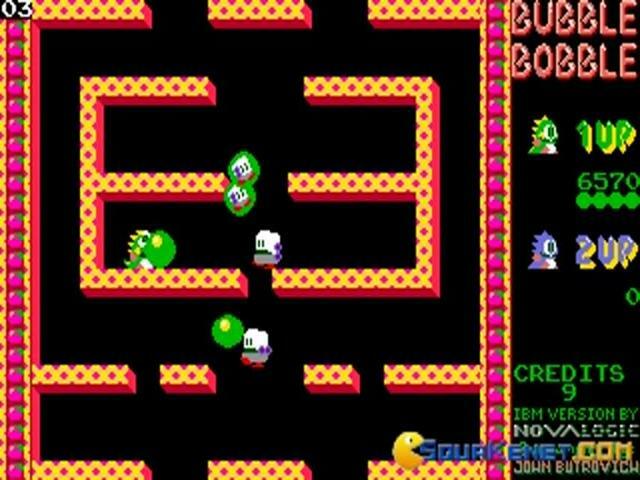 Bubble Bobble is a true classic on the arcade, PC, Amiga, NES & Sega master System as well as many other console releases, it was one of those memorable games that was just so much fun. It had endless replay value, as a lot of the game seems to be genuinely random, you get random powerups to skip through several stages at a time, the levels also appear to be genuinely limitless (I found out there is a limit of levels at 99). 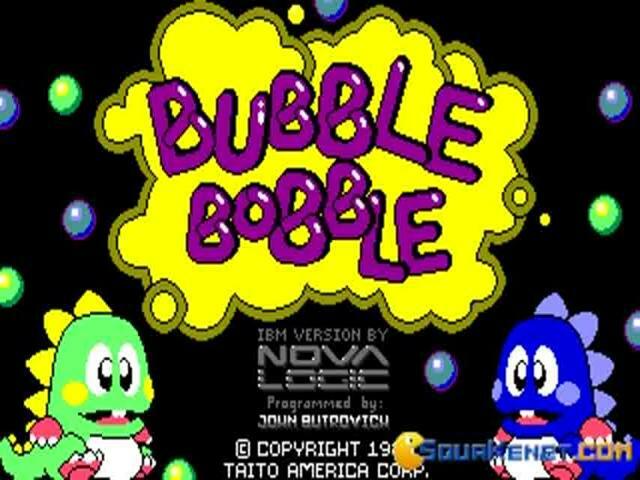 The sequel Bubble Bobble 2 on the NES often goes for several hundred dollars over Ebay and the other sequel Parasol Stars is also rare as it was only released in the European region. Help the dragons rescue their girlfriends. Here it is the pair of dragons most famous of ever, Bub and Bob, whose goal is to save their girls from the evil monster. 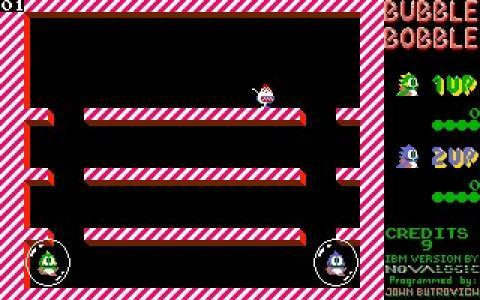 But not before well... 100 different levels! 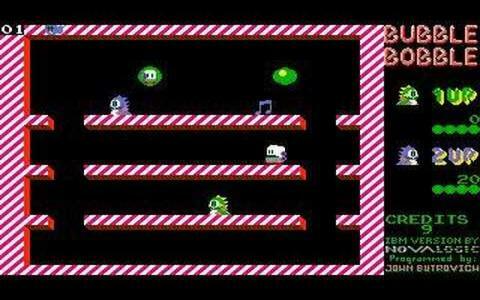 It is a great arcade game to play, unbeatable for its gameplay. You will trap the enemies (little ghosts, flying belugas, ...) in a bobble, and then with the horn on your head explode it! 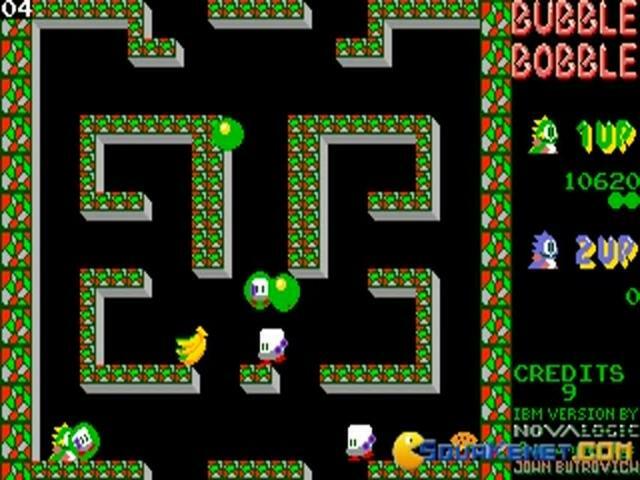 Really funny games run on all the known videogames platform, here as a computer game.